We are always looking for new ways to celebrate our faith and feast days. 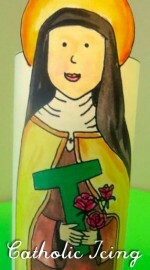 With October fast approaching the feast of St. Therese is on my mind. 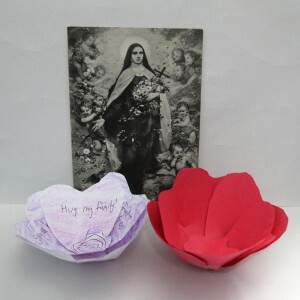 I wanted to share this easy and beautiful paper rose craft to make for the feast of St Therese, Marisn feast or a get well gift for a loved one! It’s pretty simple, turns out beautifully and you can make it in a rainbow of colours. It can be done at almost any age with just some additional assistance from a parent. 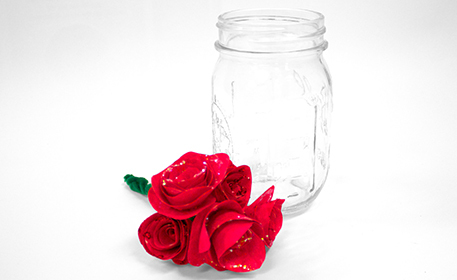 Add a tea party and you can have a lovely celebration!